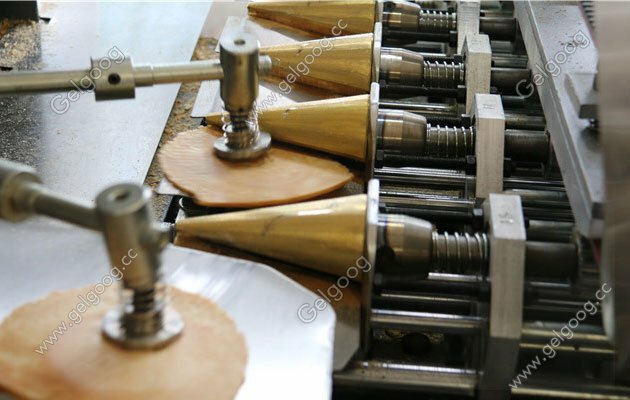 Gelgoog fully automatic sugar cone production line with factory price have been popularity over many country. Gelgoog Sugar Cone Production Line with Factory Price We Gelgoog fully automatic sugar cone production line with factory price have been popularity over many country.Our machine are installed countried such as Netherlands, Kazakhstan, Malaysia, Nigeria, Nepal, Bangladesh, Sri Lanka, Indonesia, Bulgaria, New Zealand, Peru, South Africa, and Saudi Arabia, etc. 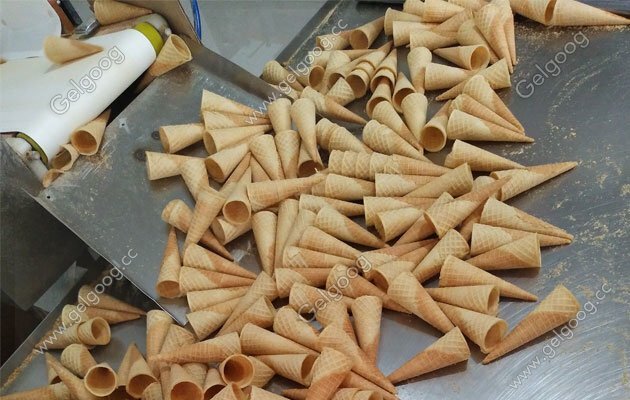 The rolled sugar cone ice cream cone production line is suitable for making flat mouth sugar cone length less than 120mm. Cone degree, weight, thickness and pattern spacing customized according to customer demand. We are a machine manufacturer which provide professional cone machines. 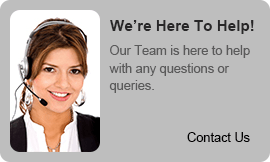 the company product marketing Chinese, Southeast Asia and the Middle East. The cone machine product safety, high efficiency, good quality and won the praise of customers, welcome people from all over the world to come to visit and negotiate business. 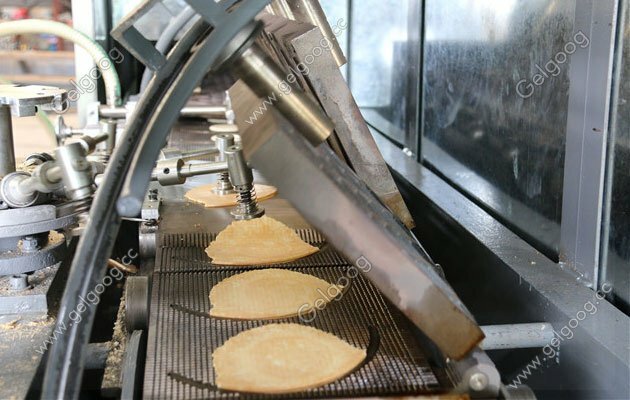 We are using automatic baking equipment for producing high quality crispy cones, can produce waffle cone, wafer cone,egg roll, and bowl shaped cup; according to the different requirements of customers crispy cone production various specifications and shapes. This equipment is a new type of automatic baking machine, which is fully mechanically controlled, highly adaptable, and has the characteristics of high production efficiency, safety, sanitation, stable quality and simple operation. The machine has a strong mechanical structure, adjustment, maintenance and maintenance and convenience.